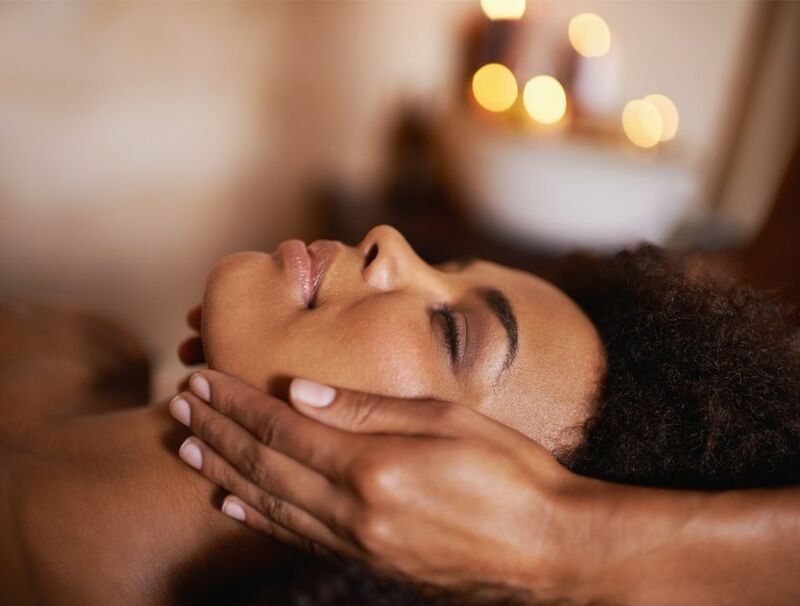 A psychic massage is a specialty spa treatment where you receive very gentle massage and energy work that leaves you feeling balanced, centered and supported. During the psychic massage, the therapist gives you verbal feedback on what they perceive in your body and helps you release old patterns and develop healthier ones through awareness and touch. Psychic massage is not about predicting the future or anything a "psychic" might do, according to Bhadra Ruttiger, who gives a psychic massage at Mii Amo, A Destination Spa at Enchantment in Sedona, Arizona. The psychic massage was developed by Sagarpriya (formerly known as Roberta Delong Miller) while directing the massage program at Esalen Institute. She wrote her first book, "Psychic Massage", in 1975. Sagarpriya says psychic massage is a way for the therapist to share love through bodywork. The client feels accepted as he is, relaxes deeply and experiences trust. "Psychic massage is about awareness, meditation, and real transformation," says Bhadra, who was trained by Sagarpriya in 1984. "It is helpful if the person is truly interested in getting to know themselves better. It isn't a treatment you should book to be entertained." I received a psychic massage from Bhadra at Mii Amo in Sedona, which is known for its metaphysical spa treatments. The psychic massage took place in a beautiful treatment room that had spectacular views of the canyon walls that the spa is famous for. We started by sitting across from each other and having a chat. "What are your expectations?" Bhadra asked. "I don't have any," I said. "What are the possibilities?" Bhadra said if there was an issue that I wanted clarity on, it would be a good time to bring it up. I talked about a subject he has a lot of experience with -- working with a spiritual teacher -- and he gave me practical advice and insights. After 15 or 20 minutes he invited me to get on the massage table, face down, and left the room so I could take my robe off. When he came back I kept talking -- apparently I had more to say! -- and he kept sharing his viewpoint as he did very gentle massage and energy work. He pointed out that my "fear and uncertainty" were located around my shoulders (always hunched and knotted) and that lower down, in the area that corresponds to the second chakra, I had more of a sense of "knowing" and self-trust. He had me turn over onto my back, as you would in a typical massage, and continued to give gentle massage and bodywork. At a certain point I fell quiet and just experienced the work, and at the end felt much more balanced, centered and whole. According to Bhadra, psychic massage reconnects you with that part of yourself that lies beyond all problems and conflicts. "It supports a state of resting within yourself, where you feel relaxed and you don't wish to change anything because the moment is full and complete." After my psychic massage, I took a two-hour nap, and the next day spent a lot of time by the pool, gazing at the looming cliffs. "It is helpful that Mii amo is a very protected environment and that people have the luxury to take time to rest and integrate," says Bhadra. "An atmosphere of meditation helps transformation and integration." If you want a psychic message, ask if the therapist was trained and certified by Sagarpriya. The trainings are only open to people who have years of meditation experience and have been interviewed to ensure sure they have a high level of integrity. "There might be people out there that call their treatment psychic massage but did not have the training," says Bhadra.